I was ever excited to bid farewell to 2012 and welcome, with open arms, 2013! Helas, my enthusiasm and eagerness lessened as I spent my second day of 2013 indoor inasmuch as of the poor weather conditions. I spent the morning on the bed, watching the rain battering the window! That was no good start of the year. Did I mention my tiny little island was actually hit by a cyclone? To get over the idea of not being able to go out and celebrate, I was determined to bake for myself! A treat, how wonderful is that? And..and..to make it even more special and since cyclones only reminded me of my childhood, I decided to make thumbprint cookies! 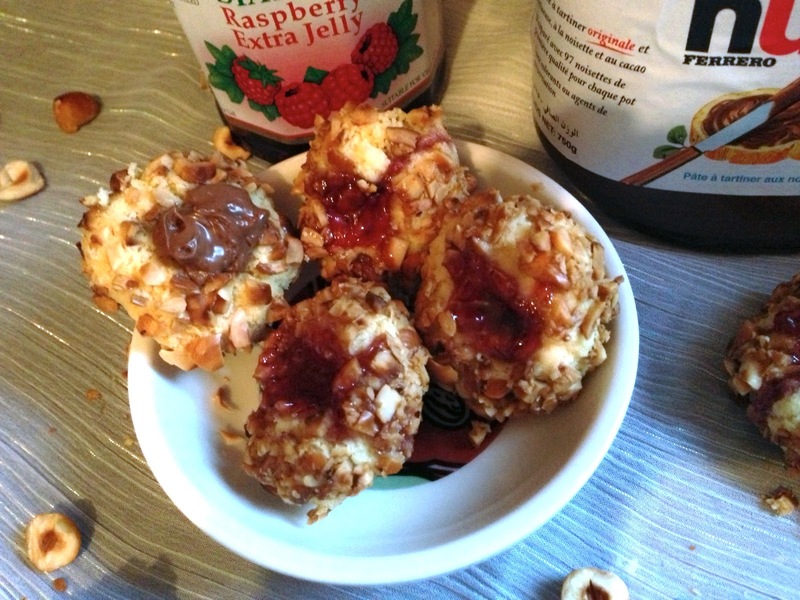 Every child at some point in their childhood liked thumbprint cookies, I did for that matter. Baking your own thumbprint cookies is yet another feeling. Crumbly cookies with hot melted raspberry jam served with a hot chocolate...deletation! I'll better leave you to read the recipe! 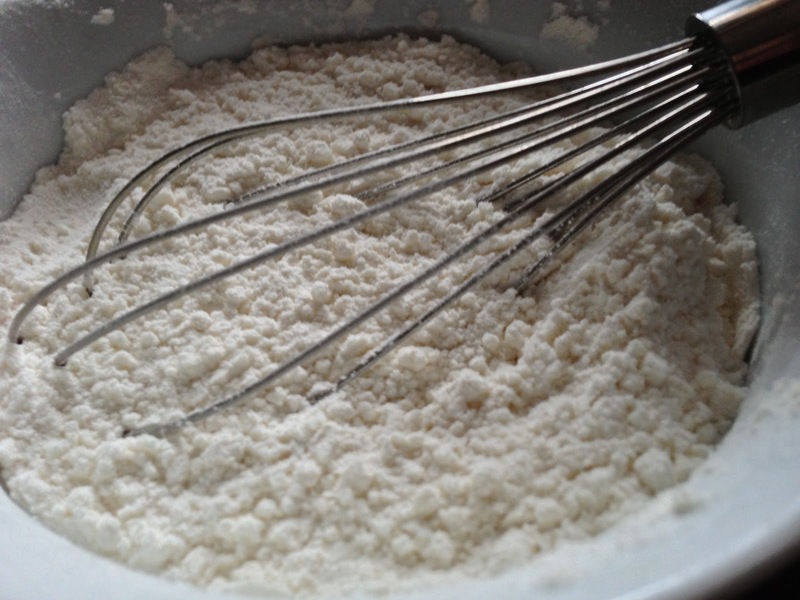 With a whisk, mix the salt and the flour. Set aside. 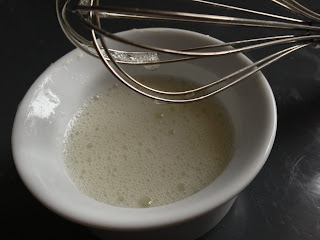 Using the paddle attachment of your stand mixer or using your hand mixer, beat the sugar and the butter until fluffy. Add the egg yolk and the vanilla extract, continue beating until well combined. To the butter mixture and the flour and beat until a smooth dough forms. 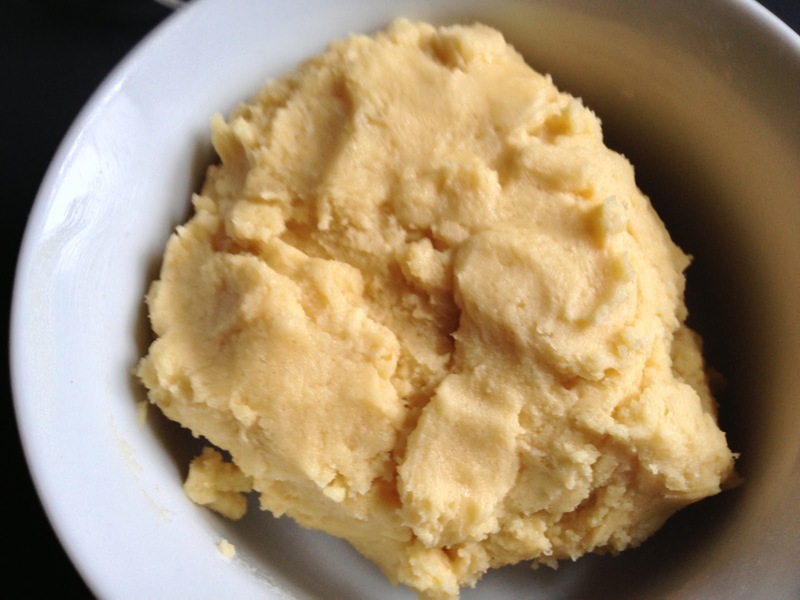 Make sure you do not overmix the dough. If the dough is too soft to handle, refrigerate it for an hour or until just firm enough to roll into balls. Preheat oven to 350˚F/177˚C. Line a baking sheet with parchment paper and set aside. 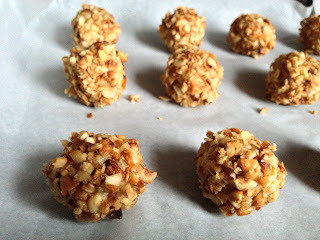 Roll the dough into small balls of an inch in diameter. 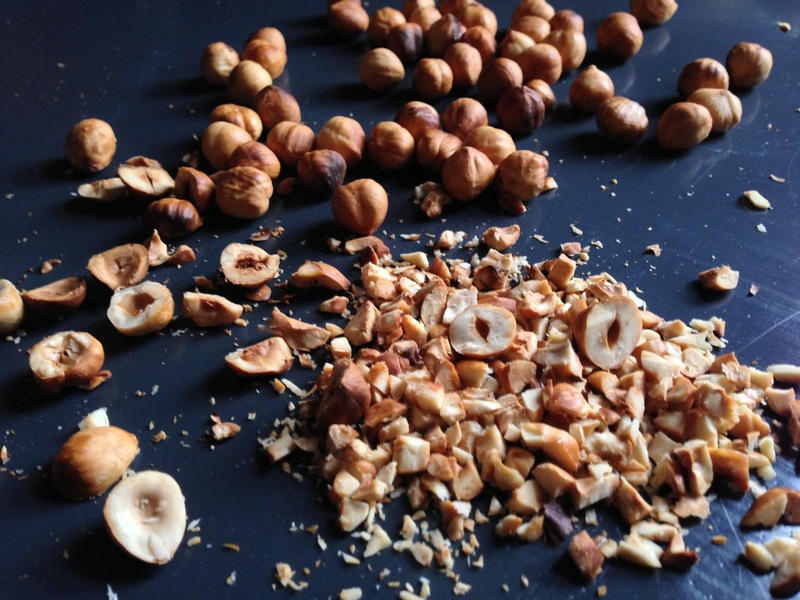 Run through the egg white and finally coat with the chopped hazelnuts. Place on the baking sheet. Make a small indentation in the center of the balls with your thumb. 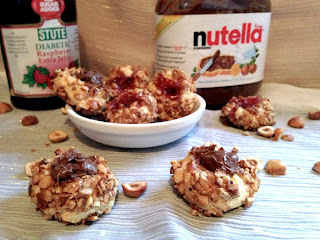 Add a teaspoon of nutella or any jam that you may like in the indentation. 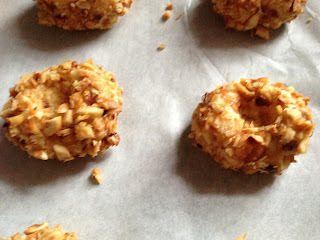 Bake for 13 minutes or until the the cookies are golden brown. 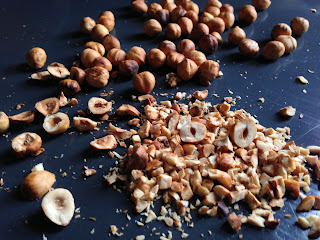 If you don't have an idea about how to toast and skin the hazelnuts, visit the Quick Tips page. Am a Mauritian settled in USA and my craving and search for puits d'amour brought me here. I found the other recipes interesting too. Will definitely try them. Your blog is humorous and informative. Keep it up...!! !